Nintendo's latest smartphone app Animal Crossing: Pocket Camp has just reached $50 million in player spending across iOS and Android globally, according to data tracked by Sensor Tower. It took the game 289 days to reach this goal, becoming the slowest of Nintendo's latest apps to do so. Super Mario Run reached the $50 million mark 222 days after its release, while Fire Emblem Heroes achieved the $50 million milestone just 20 days after launching in February 2017. Fire Emblem Heroes has been called Nintendo and DeNA's "most successful mobile game" previously, and today's data cements the game's popularity. At the one year mark, Fire Emblem Heroes had grossed $295 million worldwide, and as of August 2018 Nintendo has earned $400 million from the game. In a report earlier this week, Sensor Tower noted that Fire Emblem Heroes had grossed $63 million between the months of July and August 2018 alone, a 34 percent jump year-on-year. 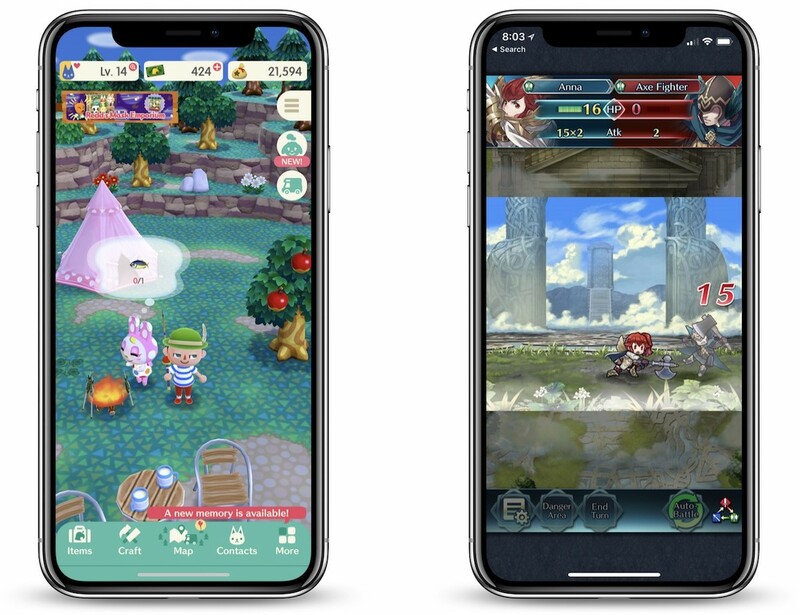 While it had a slow start, the game's free-to-play structure built on in-app purchases of items like "Orbs" help keep it a consistent earner for Nintendo and DeNA. Animal Crossing: Pocket Camp is also free-to-play and includes in-app purchases for "Leaf Tickets," which can be used to reduce timers, craft items without the necessary materials, and more. While the tickets can be earned through regular gameplay, they are also available to buy with real-world money on the App Store. Animal Crossing: Pocket Camp revenue has largely come from players in Japan, who’ve contributed about 81 percent of the total it has earned to date. The United States is a distant second at about 14 percent. The majority of spending has been on iOS devices, at about 61 percent of revenue. It has been installed more than 25 million times so far. Recently, Shigeru Miyamoto stated that Nintendo will "continue pushing" for its smartphone apps to adopt pay-once structures instead of being free-to-play, despite the breakout success of Fire Emblem Heroes. The only Nintendo app to release with a fixed price has been Super Mario Run, and Nintendo itself has admitted on numerous occasions that the game has failed its revenue expectations. The next major Nintendo smartphone game based on an existing property will be Mario Kart Tour, and DeNA CEO Isao Moriyasu in February reportedly described the kart racer as free-to-start. While vague, Nintendo uses similar terminology on Animal Crossing: Pocket Camp's website, but Moriyasu could also have been referring to Super Mario Run's structure, which allows users to download the game and play the first few levels for free before paying $9.99 to unlock the full game. Before Mario Kart Tour, Nintendo and developer Cygames will launch the original action RPG Dragalia Lost for iOS and Android later this month, on September 27. I used to enjoy video games but the free to play model with in-app purchases has made me lose interest in games as you eventually hit a wall. Just let me pay a one time fee and have full access to the game. If the industry returns to this, I would probably get back into gaming again. The balance was completely bungled on this one. They started too loose so no one had to purchase leaf tickets then they realized they were a mile off of revenue targets so they ramped everything up to 11 and alienated the audience. It's too bad, I would have gladly paid a one time fee to own the game as I'm sure many others would have. Honestly, I haven't played pocket camp in a while. 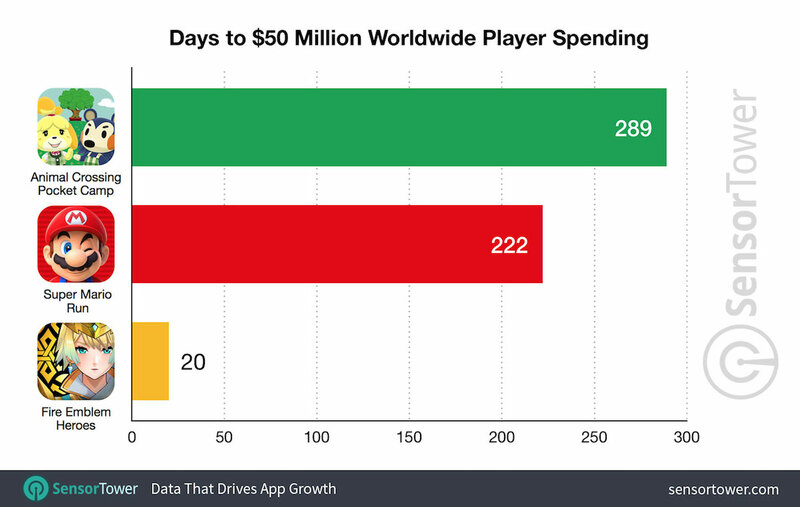 But there really wasn't ever much incentive to buy in-app purchases. They would have made more money off of me if they charged $10 up front than trying to get me to buy leaf tickets, because I just literally never needed to. Nintendo has a product for you, it's called the "Nintendo Switch". Bingo. I believe Nintendo recently, publicly, stated going forward all their games on other platforms will follow the pay once up-front model vs the freemium route. Freemium, as you've stated/felt leaves a sour taste and poor gaming experience to the end user. To other smaller developers it creates an incentive to keep developing over the long haul ... keeping them eating. I'm very curious this if the nature of revenue coming from Japan has anything to do with culture in terms of pet ownership vs work/life balance in comparison to those in Europe, North and South America? Wow I deleted this app a long time ago. I found it like shampoo. Wash, rinse, repeat.